Hello all! Just a quick update for you. On Sunday (yes Sunday) 15th September, from 14:00-16:00, we will be throwing a Bookshop Party to celebrate the awesome BOOKS ARE MY BAG campaign. 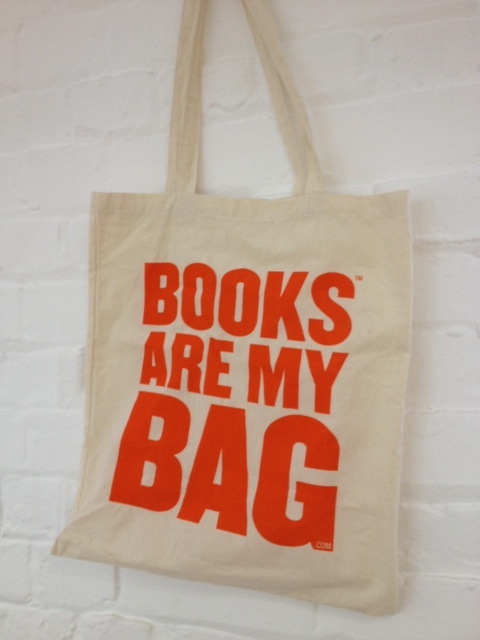 BOOKS ARE MY BAG is a nationwide campaign to celebrate bookshops. We will have our very own bags (see below), with Chicken and Frog Bookshop printed across the bottom. As the bags are predominantly orange, our party will have the same theme. There will be cupcakes, wotsits, orange squash…face painting and a FREE groovy bag for everyone. We aim to paint Brentwood orange-er. Everyone is welcome to join in the merriment, so just turn up, accept the terrible music and enjoy!